A few nights ago I got crafty, I got inky, I got a tiny bit grungy, I played with Dylusions templates (I used Dotted Flowers on this tag) and I had so. much. fun! It's been far too long since I created a tag and since I had all of my supplies spread all over the table I decided to go for it! I created a short video showing how I created the base for the tag, which you can view at the bottom of today's post. And then I got to work on what to add to the tag. I opted to fill a pocket with some Tissue Tape flowers. 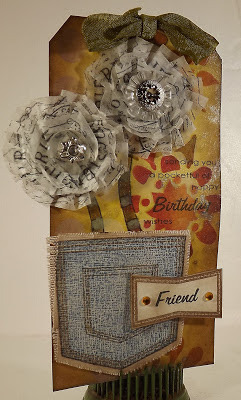 (Love making these flowers with tissue tape; you can view a video by Tim Holtz on how to create these here.) 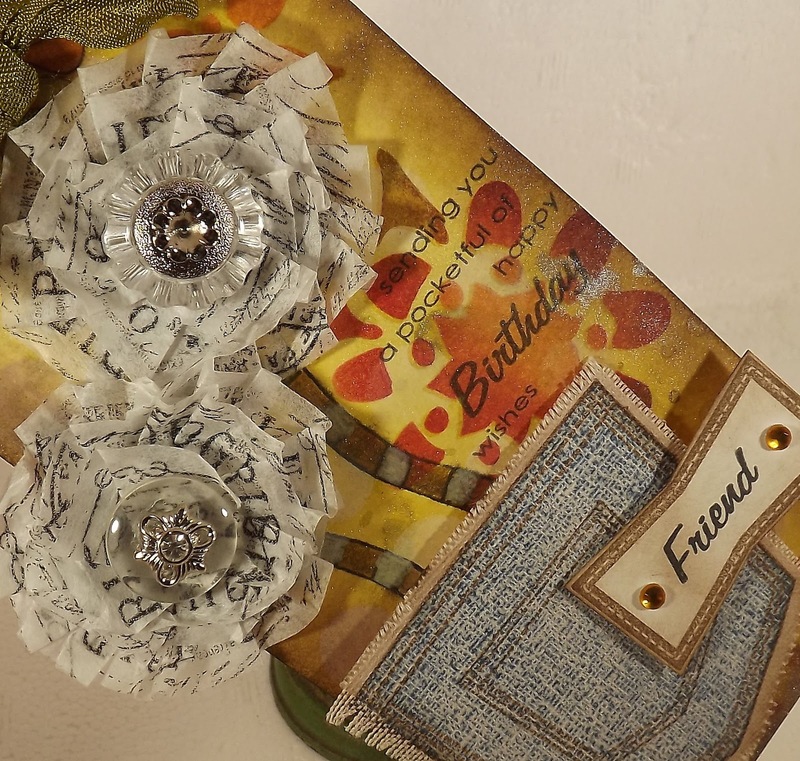 Once my flowers were created I added buttons from the Fanciful Accoutrements collection (snip the shanks off the back of the buttons using Kushgrip scissors so the buttons lay flat on the flower). The stems were created using a border stamp from the Further Around the Edge stamp set from Dylusions. (Love her border sets!) The pocket was created by stamping the pocket image from A Pocketful stamp set, from Wplus9, on to sticky back canvas. I used the coordinating die to cut out the pocket. I then layered the sentiment over the pocket using foam tape. 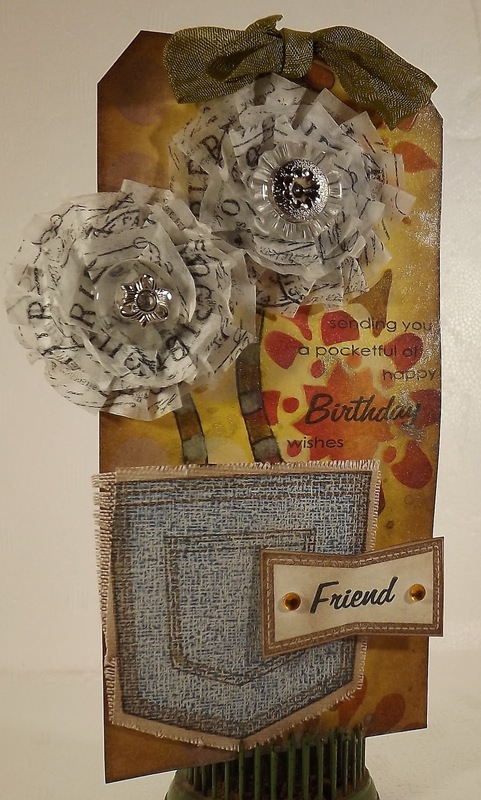 I added the sentiment, created by using a variety of stamps from the Pocketful set, last along with some ribbon. And now here's the short video on how I created the base of the tag. You can use these same techniques on any tag, using a variety of stamps, inks, and stencils. Then you just need to add your decoration!! Fun times!! Enjoy! GREAT tag, Kim and awesome video!